About 45 per cent of essential drugs are "completely unavailable". Medications are diluted, labs face shortages, and instruments are reused. Healthcare workers have not been paid in full in six months. Health care services in the Strip are in crisis and getting permits for outside treatment are hard to get. Jerusalem (AsiaNews) – Mor Efrat, a member of Physicians for Human Rights-Israel (PHRI), is the author of a report on the health situation in the Gaza Strip, home to 2 million people. The report was published on 4 February. Speaking to AsiaNews, she said that "The need for care is great. People are anxious to get medical treatment. Medications are not available in Gaza and they don’t have money to buy” them. In the document, the NGO paints a worrying picture, from a "serious lack" of medicines to strikes by healthcare workers, who have not been paid for months. 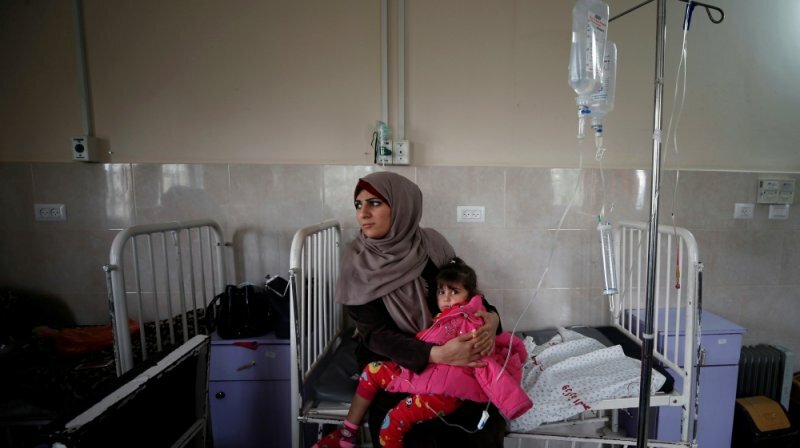 In Gaza, 45 per cent of essential drugs are "completely unavailable", including those needed to treat cancer and autoimmune diseases, and those essential for dialysis patients. Some medicines are diluted to treat more people, and patients receive a third or half of the required dose. Laboratory services are collapsing, and there is a "serious shortage of blood donations". Medical instruments are reused after sterilisation, and the staff is running out of sterilising agents. Unpaid wages to health workers is a source of concern; in the last six months, "no employee has been paid their full salary". Despite the unity agreement between the two main Palestinian factions, Fatah and Hamas, no improvement has materialised. Some 6,000 Health Ministry employees have not been paid and 4,000 have had pay cuts. Those paid by the Palestinian National Authority have been reduced by half or three quarters; those paid by Hama by 40 per cent. Several workers are on strike, which has forced the shutdown of hospital facilities. "Health services in Gaza are becoming less available," Efrat said. The NGO’s "mobile clinic", a group of four to eight doctors that travels around the Strip to deliver care is faced every time with desperate needs. "Hundreds of patients come to visit the group, who members work all day, until late at night, because patients keep coming. They need a second opinion. Medications are unavailable in Gaza, or they don’t have the money to pay." The collapse of the health service in the Strip is pushing "more and more people to ask permission to leave Gaza for treatment". But the Rafah crossing on the border with Egypt seldom opens and Israel is not increasing the number of permits: only 50 per cent get a positive response. Some applications may "receive no response" or remain "unanswered for months". "We try to challenge the army's refusal, explaining to them the medical situation,” Efrat said. Recently, the NGO received many requests from women with cancer to get permission for treatment outside the Strip. Thirty saw their requests refused, but in the case of 27 that was later overturned. 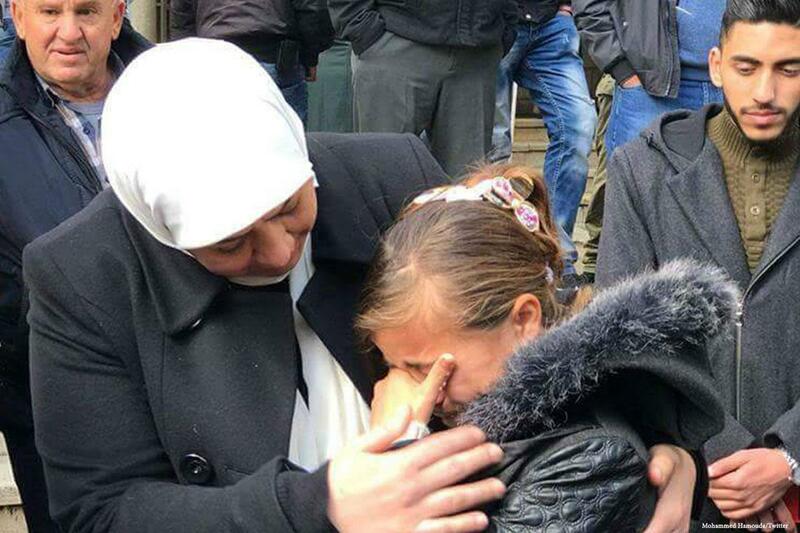 Today, protests by Palestinians and Fatah have forced Israel to let a woman from Gaza travel to Ramallah, to be with her 12-year-old daughter who has to undergo a kidney transplant. 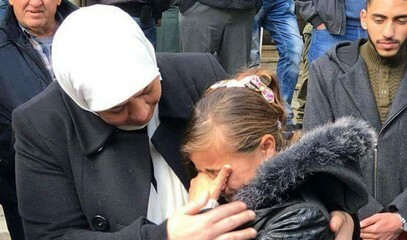 Initially, the authorities allowed only the girl to leave the Strip, and the images of the weeping girl when she arrived hospital (picture 2) outraged Palestinians. According to the World Health Organisation, 54 Palestinians died in Gaza in 2017 waiting for treatment, 46 of them were cancer patients.